Especially if you don’t know what you’re doing. And there are more and more of them. So if you want to win, you’ve got to get this. In today’s podcast I share my top secret tips. Secrets I’ve used to win auctions… Even when the competition is ruthless! ==> What you need in place before the auction. 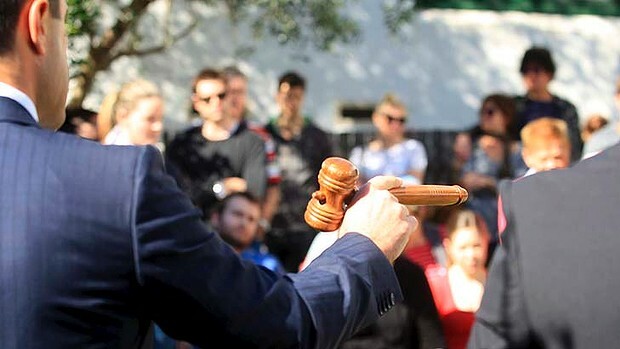 ==> Where to stand during the auction. … combined with the one piece of technology that gets me the stealth win most times I’m bidding. ==> How to get the vendor away from the agents and get them spilling the beans. ==> How to get the ‘conditions’ you want into those nasty unconditional auction contracts. ==> And I share my Auction game. It’s fun and you’ll subconsciously become like Russell Crowe in gladiator. Beaten in competition and come out victorious. ==> And that’s just the tip of the iceberg. There’s loads more!